Where do I start this month in telling you what I have in store for you in this issue? I usually start with something good just to get your attention, but this month I am so spoilt for choice, I do not really know where to begin! Imagine getting so fed up with the carp scene that you decided ‘no more’ and grabbed the map searching for somewhere different. Now imagine finding a neglected pool fed by the Thames, an unfished marina where fishing was strictly forbidden; not only an unfished pool, but one with an ever changing head of huge carp that wandered in and out of the Thames. 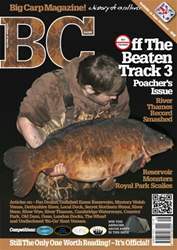 Now imagine hiding away undiscovered for over a decade catching these huge fish but never publicising one single capture, breaking the Thames record over and over again with upper forty commons and mirrors but never claiming the record. Also among the captures are a mid-forty fully scaled mirror, dozens of thirties, linears, leathers and fully scaled mirrors! Unbelievable? No, it’s true. 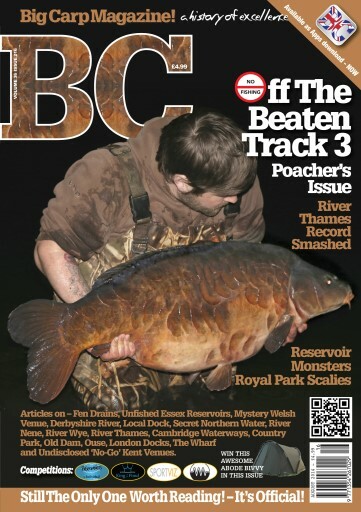 Read the whole story for the first time ever in Big Carp. There are over 50 photos including six different forty pounders, and all caught from the Thames.